Travel across the Brahmaputra and reach the land where myth meets magic and wishes are horses! The land where nature endows man and is yet to be trimmed and pruned to represent a synthetic civilisation. This land is better known to the worth as the North-Eastern region of India, that comprise of seven states called the "Seven Sisters" - Assam, Nagaland, Tripura, Meghalaya, Manipur, Mizoram and Arunachal Pradesh. The region of northeastern India will whet the appetite of the traveller, the tourist, the anthropologist, the observer. It is impossible to describe the nuances that make this area unique, challenging and interesting. Get to any one place and the result will be that you will return for more. 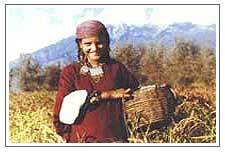 Assam possibly has more folklore and tradition than any other place in India. There are archaeological ruins all over Assam but the ones around Sibsagar simply must be seen. The largest river island of the world, Manjuli, is a must too along with Kaziranga wildlife sanctuary. Crossing the magnificent Brahmaputra so deeply linked to life in Assam, one reaches Guwahati, the capital where the famous Kamakahya temple is located on a hilltop. Guwahati has evolved into a major business centre and most of the travel linkages pass through it. Travelling in the northeast will take one criss-crossing Assam so one gets to see many places. If one is travelling at the time of any of the festivals like Rongali Bihu, then the charm of Assamese culture will permeate your very being with its rhythm, colour and bonhomie. The dark green tea gardens blend beautifully with the pastel green of paddy. Digboi, Duliajan and areas around have oil wells. Because of the remoteness, the state of Arunachal has not been overtaken by urban ethos. Yet the fine balance between advancement and keeping in touch with ones roots is nowhere as clearly manifest as in this state. 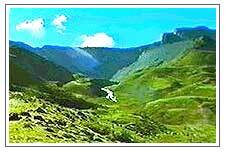 Most of Arunachal Pradesh has primary jungles, deep gorges and villages in really remote places. The changing colours provide a constant reminder of diversity and cheerful spirits. Cane bridges, swaying precariously over roaring white waters we often the only means of moving from one place to another. Itanagar is the capital of Arunachal Pradesh. One can travel along National Highway 52 and keep branching off to visit places like Ziro, Daporijo, Along and Pasighat. Inhabited by swarthy tribes, Nagaland has its own distinct culture and ethos. Happy and cheerful, the people have an innate sense of music and colour. All the land here is basically owned by villages and individuals and this is true of many areas of the North-East and, therefore, one rarely hears of land disputes and clashes. Gateways to villages and houses are really something to see. Nagaland grows a fair amount of oranges and pineapples. The all-prevalent green continues and the scenic beauty of the state overwhelms us. Christianity has had a profound influence on the region, and one sees well-maintained churches all over. Manipur is somewhat different culturally from the rest of the Northeast region because of the Vaishnav influence and some of the dance forms are very distinct and stylised. Along with dance forms, various martial arts are practised here and the game of Polo is said to have originated in Manipur. Folklores abound and are supported by a fair amount of recorded history. The capital city of Imphal itself has a lot to offer - war cemeteries, Kangla, the building that housed field marshal slim during World War II, the Orchidarium, many temples and a lot more. One of the more interesting areas to visit is the Ima Market or Mothers' Market, which is run by women only. Tripura is steeped in history with linkages established from the legendary Limar dynasty. Recorded history dates back to almost 3,000 years. Even Samudra Gupta's pillars mention the existence of this state. This is yet another state like Manipur where Christian influence is negligible. It is the unique continuous history that has to be absorbed here. In geographical terms, Tripura is a small state and the second smallest state of India. The architecture of the temple of Lord Jagannath is interesting and worth studying. It rises from an octagonal base. The Ujjayant Palace, dating back to Bir Bikram, is equally interesting with its Indo-Saracenic architecture. Old buildings and ruins worth exploring are in plenty like the lake palace called Neer Mahal on Rudrasagar Lake in Udaipur, the ancient capital. Sipahijala is an interesting area to spend the day. There is a comfortable guesthouse in the complex surrounded by forests and overlooking a large lake where one can go boating. Unlike the others of the seven sisters, Meghalaya's terrain consists more of rolling hills and less of steep climbs. There are beautiful meadows with fringes of pine forests everywhere. As if to complete the picture, there are breathtaking waterfalls with the waters plunging down hundreds of feet's. Meghalaya is a unique mixture of the traditional and the modern. People are fiercely proud of their roots and yet British influence is quite pronounced. Shillong is the busy hub centre of Meghalaya. The Idew Market or Burra Bazar is one of the most interesting markets one can ever see over here. For hours, one can explore the different levels and myriad alleys with shops displaying a mind-boggling array of items. In and around Shillong itself, there is lots to do. Visit the butterfly museum or Ward Lake or golf course or Shillong. Over the years, Mizoram has managed to maintain its special touch with Aizawl being the hub centre. Pollution is low and despite "Jhuming" - a slash and burn type of cultivation - the greenery is intact. 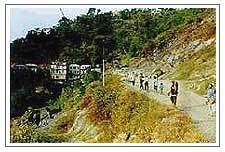 The hills rise towards the centre of Mizoram therefore Aizawl is pleasant throughout the year. Lunglei, Champhai and Saiha are the other centres. Driving along the road, if it is the right season, one comes across plenty of orchids. If one ventures into the forests, the rewards in terms of varieties of orchids would be great. The beauty of Mizoram lies in its unique harmony between man and nature. The clouds come to rest in the valleys, rainbows abound, small waterfalls gurgle past, greenery is all encompassing handicrafts are in plenty, the shawls are colourful, the markets exude cheer. Wherever one turns, a separate type of beauty unfolds and cheerful and innocent laughter is all pervasive.